The leading security & safety show, 2018 Intersec held from January 21st – 23rd, had completed successfully. The 20th edition of Intersec attracted over 1,300 exhibitors from 59 countries, which gathered nearly 30,000 visitors. 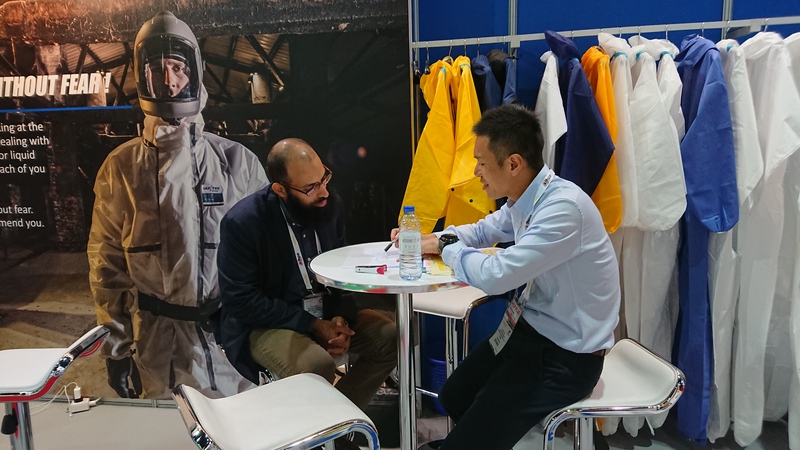 As one of the largest and most diverse shows in security & safety area, its influence has spread not only across the Middle East and Africa plus the Indian subcontinent but has gone well beyond. 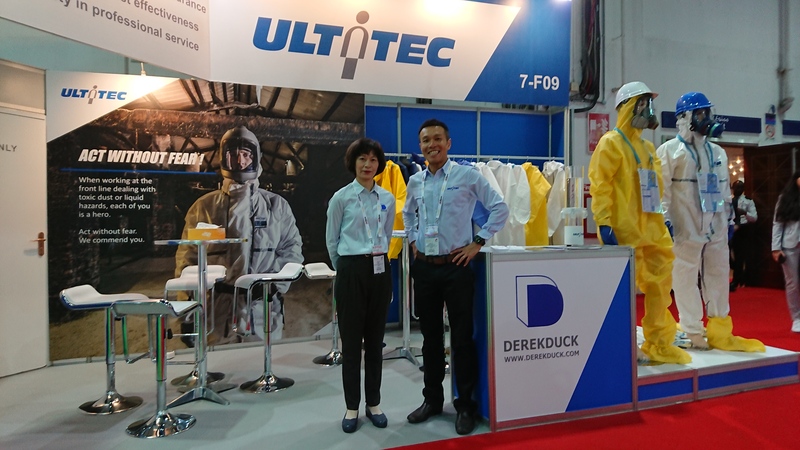 Derekduck has participated for eighth edition and has a certain reputation in the industry. Many visitors were referred by our client, which shows the clients’ confidence and trust to our product. 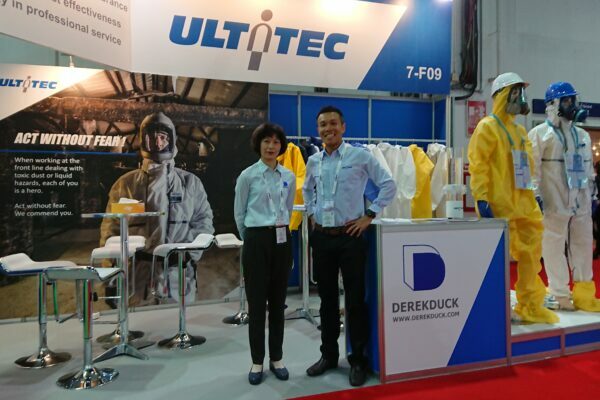 ULTITEC is committed to provide “right” protective clothing to each workers. We aim to become their ultimate shield and make sure workers go home safely. That is why we attend exhibitions and spend our time communicating to users. 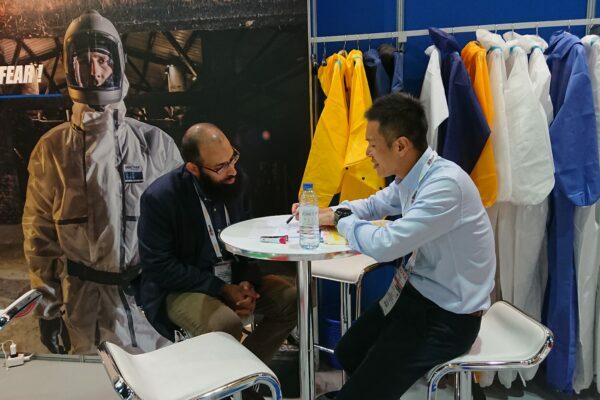 During the exhibition, many clients have concern about the new CE certification application schedule, current certification validation periods, and the supports from Derekduck. Derekduck have made preparation and started to work on the new CE application. As the regulation for workplace safety becomes more and more seriously, PPE providers also put more efforts on CE certification. Derekduck also attach importance to it. Our type 3 to type 6 protective clothing are all testified by third notice Body, assuring the quality and corresponding with local governments PPE regulations.